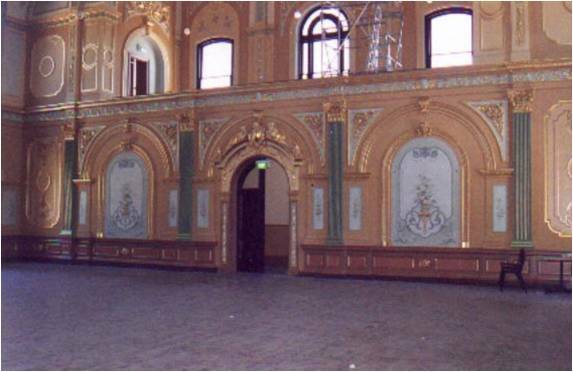 In 1855 the town of Sandhurst, as Bendigo was then called, became a municipality. The first Town Hall was a rough, two-roomed building at View Point. 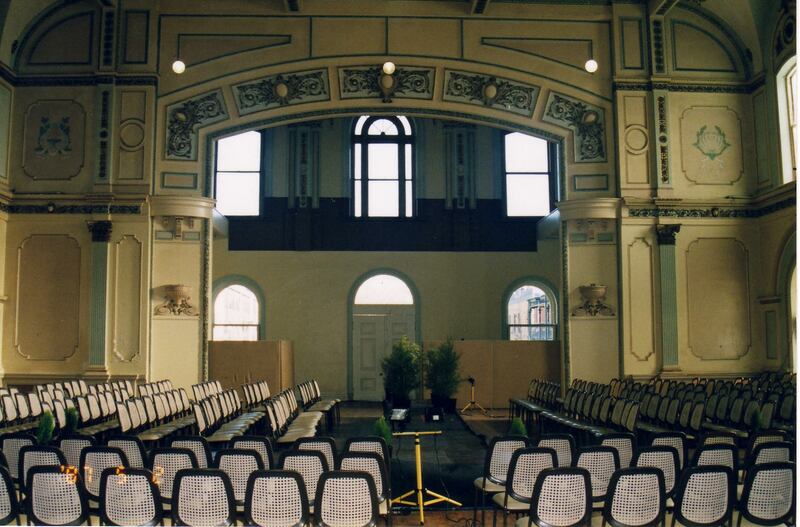 In 1859 the Town Surveyor, George Fletcher, was appointed to design a Town Hall in controversial circumstances. 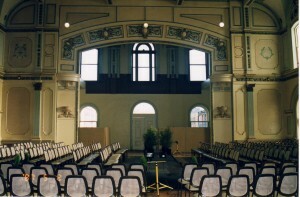 Fletcher’s Town Hall was a red brick Italianate building with a corrugated iron roof. Cramped, unsightly, and soon in danger of collapse, it was far from respectable when the town became a city in 1871. When Fletcher’s design for a two-storey, plain-brick corn exchange was incorporated into the building in 1871-2, so ugly and useless was the ‘brick kiln’, as locals dubbed the structure, that local architect W. C. Vahland was asked to prepare better plans. 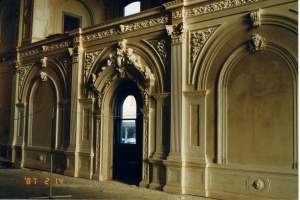 In a series of major works between 1878 and 1902, Vahland’s designs transformed the Town Hall. 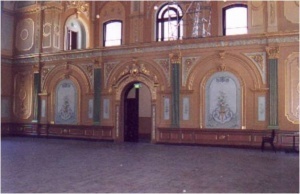 Extensive offices were built at the rear; the main hall and Council Chambers were enlarged; a superb interior decorative scheme was introduced; and a clock tower, mansard roof, and elaborate classical facades endowed the building with a style and character that suitably expressed the exuberance and splendour of Bendigo’s golden age. 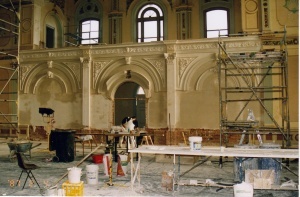 In 1926 the mezzanine floor and the end wall of the hall were removed and replaced with a stage area constructed of plaster board and fibrous plaster enrichments. 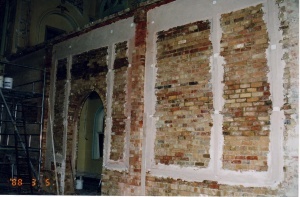 During the restoration work in 2000 it was decided to remove the stage and reinstate the wall back to original with the ornamentation as mirrored on the opposite end of the hall as well as reinstate the mezzanine level. 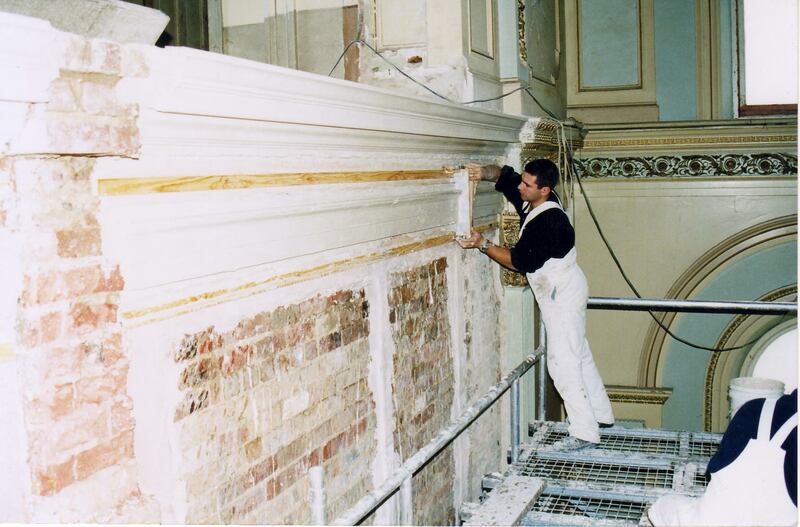 Westox were given the opportunity to quote the work which was begun in May 2000. 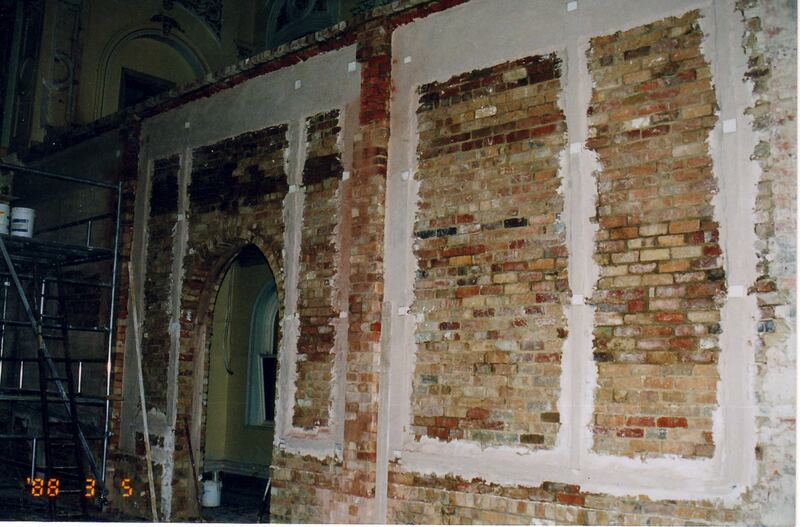 The first step was to remove the plasterboard stage facade and rebuild the brick wall. 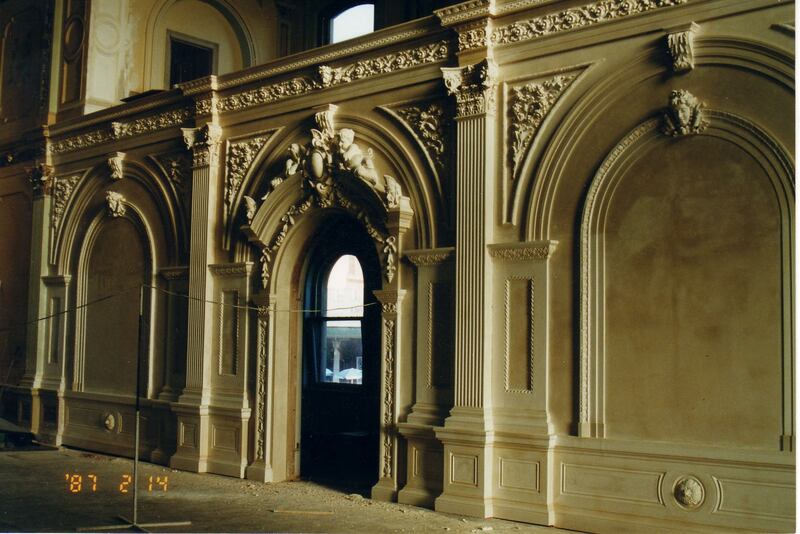 All mouldings were then run in situ as were the arches; other mouldings were run on a bench and fitted into place. 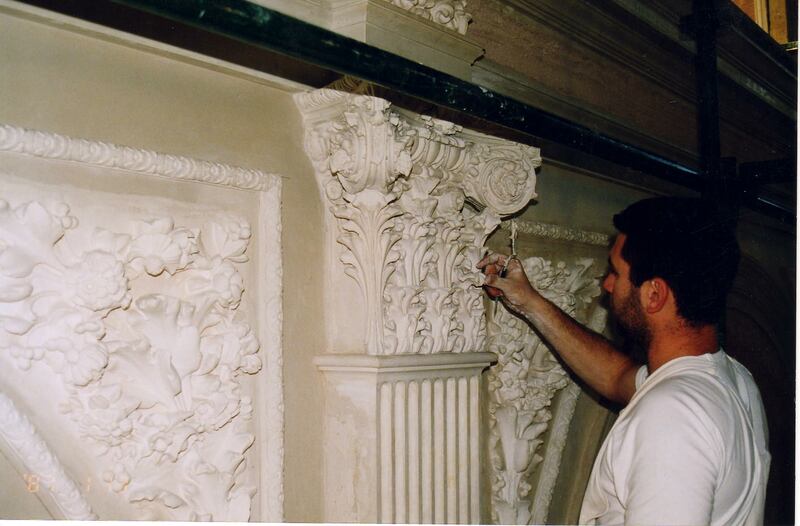 The cherubs, cameo and other enrichments were cleaned and used as the models for silicone moulds, new casts were made and new mouldings fitted into place. The work took approximately 8 weeks to complete. 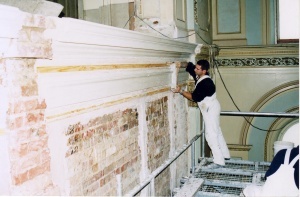 Following the reinstatement of the wall the coffered ceilings were also treated with the Westox RAP system to stabilize the cracking taking place. 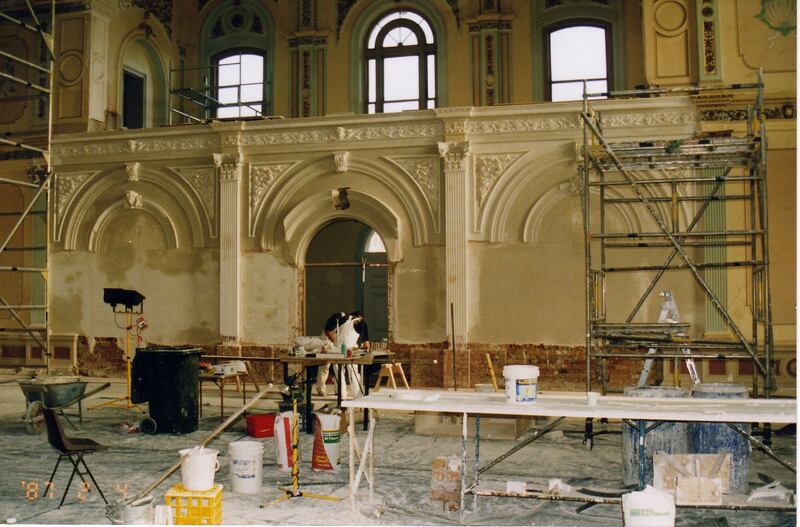 The work was carried out by Nick Van Dalen of Quettar, the local Bendigo contractor.